TAB offers a complete filing system including labels, software, services and rolls/sheets. 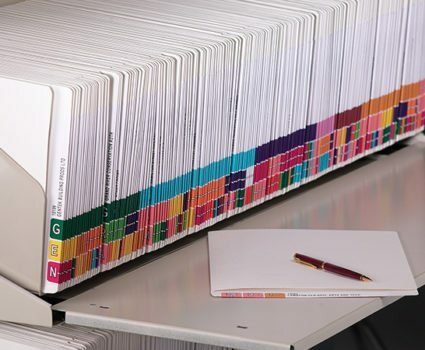 TAB’s filing system has set the industry standard ever since we invented and patented the CompuColor – color coded labeling system. 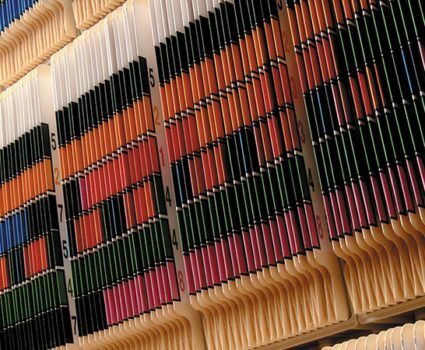 Our color coded filing system helps you find information 40 percent faster than typical filing systems. TAB’s color-coded filing system allows you to index and organize files alphabetically, numerically and alphanumerically. The color-coded filing system also offers terminal digit and custom identifiers. Our filing system solutions include complete, factory-indexed labels, and do-it-yourself options. Click on the links below for more information all of our filing system options. 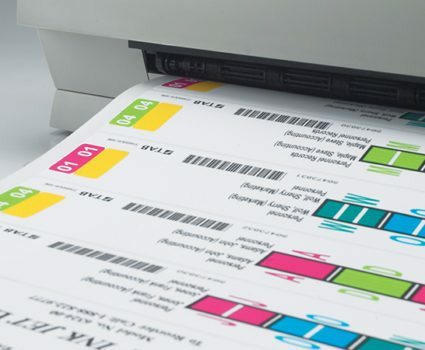 TABQUIK allows you to print your own custom, color-coded labels instantly—on any standard, color office printer. CompuColor labels are complete, highly-customized, factory-printed file labels. Text and numeric fields in the labels are populated dynamically using your own data. 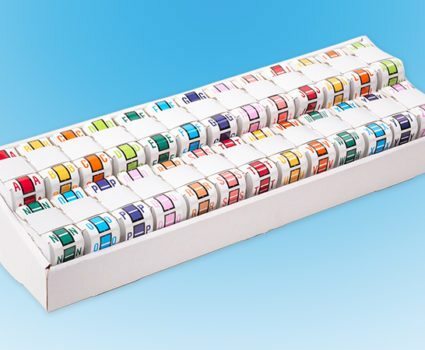 TAB’s label rolls and sheets offer a wide range of pre-printed, individual labels including numbers, letters, month and year. You can apply these labels in combination to create your own color-coding and indexing system. 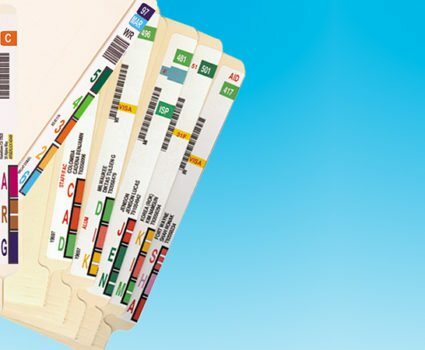 FilePak labels are complete, factory-printed file labels that contain a sequential index that is customized to your needs. TAB’s custom labeling services offer an efficient way to apply color-coding to a large volume of files. Get in touch to learn more about how TAB’s products and services can help you. © 2019 TAB. All Rights Reserved. Store it. Find it. Use it.